Jim Hoddenbach buys and restores a Cessna 180 Skywagon. It took three and a half years and an undetermined amount of money toward restoring a Cessna 180 Skywagon. Learning to fly tailwheel airplanes was an achievement I did not know would affect me as much as it did. I can not adequately describe what it is about conventional gear airplanes that draws me to them. 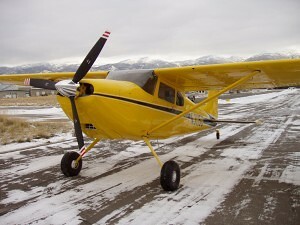 But I love flying them, and was always interested in the Cessna 180 Skywagon. Perhaps it’s the nostalgia, reminding me a time gone by. Maybe its the challenge of the beautiful and charming, yet stubborn and temperamental machine that I think I might tame. It could be what they can do and where they can go. Maybe it is simply the sheer beauty of an airplane built the way were really meant to be. Flying tailwheel airplanes is a passion and it seems unlikely I will ever tire of it. A friend of mine who owned a Cessna 185 generously gave me the instruction and signed me off for my tailwheel endorsement in his airplane many years ago. We flew 8 hours or so over a period of time and landed on a number of dirt strips. It was a lot of fun and I felt like he did a great job teaching me. Pilot friends warned me that it was just a case of time before a ground loop would occur. I was intimidated and very afraid. 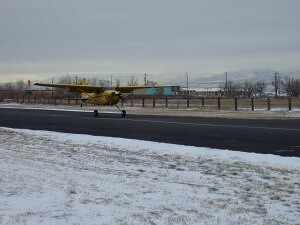 One friend told me there were 3 rules to flying tailwheel airplanes: keep it straight, keep it straight, keep it straight. As trite as it sounds, that is the rule I have lived by. I was so afraid of a ground loop that I developed good abilities to immediately correct for deviations. 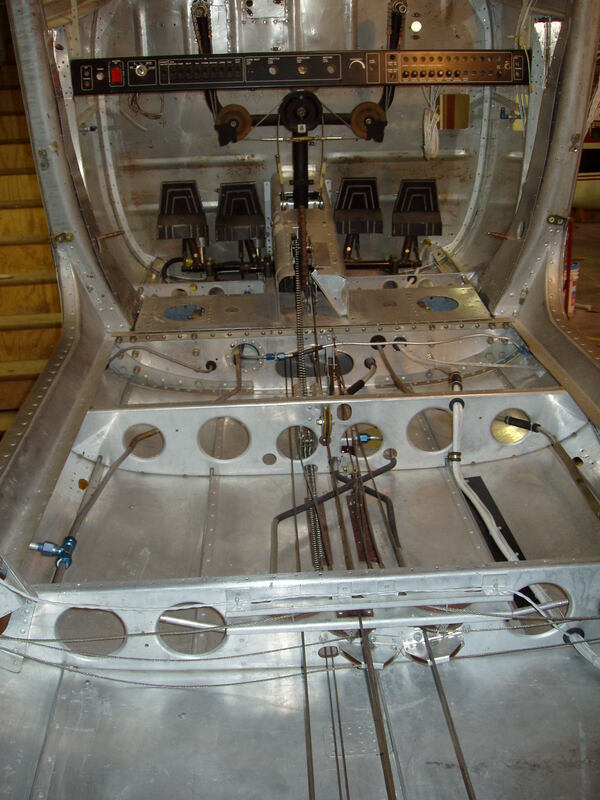 If the airplane drifted even a fraction of a millimeter off centerline, I would correct. I learned where to look and how to see those deviations and how to fix it. I have never ground looped and hope I never will. I do remain afraid and I have never sat in the pilot seat of a tailwheel airplane without feeling that anxiety, knowing this airplane will bite me if I let it or allow my attention to relax. 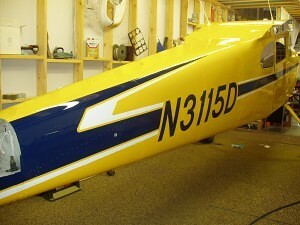 My first conventional gear airplane was a Maule. It was an older one with the round tail and a Franklin engine. I bought it from a guy who was phasing out of aviation. He flew with me for about 40 minutes and then shook my hand and wished me the best. I had racked up a total of about 15 hours of tailwheel experience by this time which included the instruction I had received. Now I was on my own. The Maule was in great shape and pretty as could be. I have always thought the old round tail Maules were very attractive. It had a lot of horsepower, a big baggage area and I loved it. After the brief flight with the previous owner I looked for someone local who could give me some more instruction in it but I couldn’t find anyone with Maule experience, let alone a tailwheel instructor. By this time the instructor who helped me get my endorsement had moved. I was anxious to fly the new plane and I suppose that made me impatient. I decided I would find a calm day and carefully teach myself. This is not something I would encourage others to do if I was advising them. I was anxious and it took some doing to get my courage up but finally I pushed the throttle in and headed down the runway. The next thing I knew I was off the ground and climbing like crazy. Almost immediately I felt the pressure of knowing I would need to land soon. It was somewhat like my first solo. My anxiety level was high but I seemed to do just fine as I came around and landed. I worked hard on perfecting my skills and soon I felt fairly comfortable but still very respectful. I knew these airplanes could turn on you when you least expect it and surprise you with their temperamental nature. I was soon wandering off to any dirt strips I could find in our local area and I had lots of fun. I had made friends with the airplane and we seemed to have an understanding. The aircraft was very well behaved and I never felt as though it was getting away from me. Having said that I never let my guard down and always tried to remind myself before taking off that I needed to pay attention. 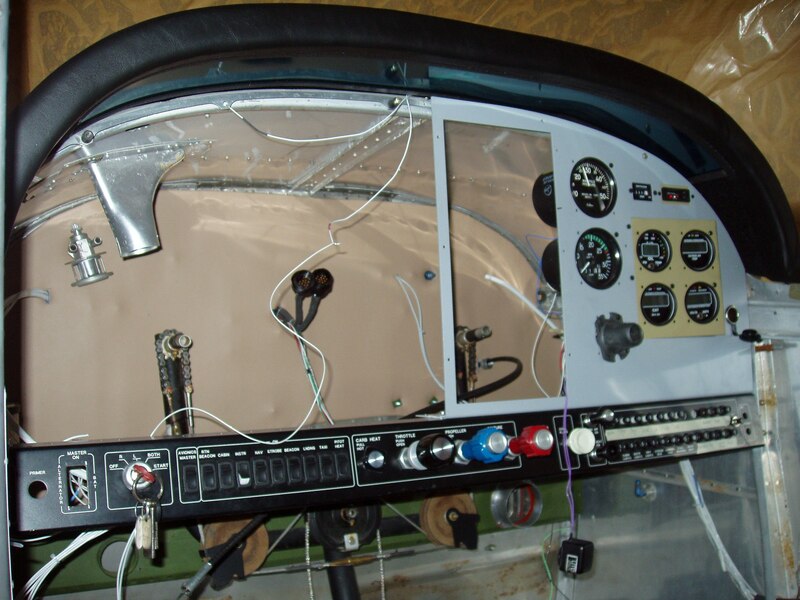 These habits have stayed with me and even to this day when I am preparing to fly any tailwheel aircraft, I have a talk with myself to remind me of the risks. It keeps myself from never getting too comfortable. So far it has worked. I flew that airplane for a couple of years and created a lot of nice memories. It treated me well and took me to some fun places. As much as I enjoyed it though, I had a wandering eye that seemed fixated on someday owning a Cessna 180. I honestly could not see how that could ever happen though. The Skywagons were out of my budget, by a lot. At least that’s what I thought. A favorite pastimes of mine has always been reading the classified advertisements. One day I was innocently browsing the aviation ads and came across one that caught my attention. It seemed like maybe this could be a way for me to work into a Skywagon. 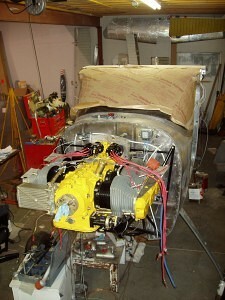 It was a 1955 Cessna 180 that was listed as a project. Completely disassembled and missing some parts I thought this was my type of deal. I made arrangements to go to New Mexico to see it. I didn’t want to seem to excited but inside I was already flying this thing in my dreams. In a dilapidated dusty hangar at an abandoned airfield in Albuquerque I rummaged through boxes and boxes of parts. What I saw in that hangar was the possibility of my dream coming true. I handed over the check and came back two weeks later with my young son. We rented a van and put the Cessna 180 in the back of it. 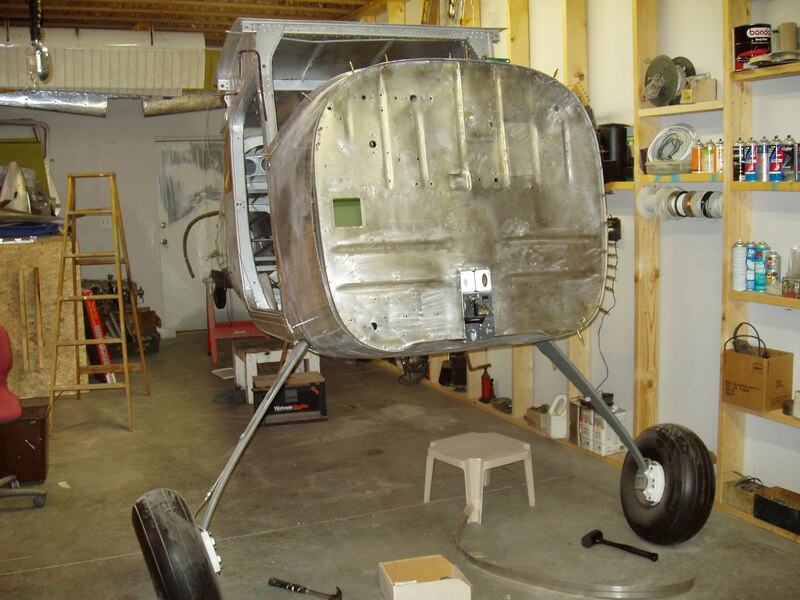 It wasn’t big enough and I had to pull off the landing gear and hang 6 feet of the tail section out the back with a flag tied to the tailwheel. We must have been a site to see. 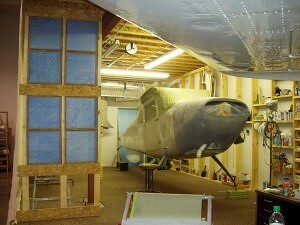 I could hardly wait to get started putting the airplane together. I figured it would take maybe a year or two to get it flying. I also was optimistic about how much it would cost. I was wrong on both estimates. It took 3 ½ years and an undetermined amount of money to finish the project. I remained motivated and worked on it every day with the exception of times I was out of town or unavailable. I have learned that the trick to finishing a big project like this one lies in the discipline to work on it every day. You need to do something, even if it’s just planning to make progress on it every day. When a day goes by that you are not somehow engaged, you become distanced and soon lose momentum. You easily become discouraged and then paralyzed, not knowing what to do next. Then it takes huge effort to get things going again. Many days during the process I was overwhelmed and uncertain what to do next, or how to overcome a particular problem I was having. I often became discouraged and found myself unmotivated. I had set myself goals to have the plane finished by a certain time and became frustrated that the timelines were not being met. Often I couldn’t find parts I needed or it just took so much longer to get things done than I expected. Sometimes I was indecisive about how to finish off something like the paint or interior. All the while summer and fall flying seasons were passing by. I wanted to get flying and using the plane. But I kept moving on and gradually the pieces began to take shape and light could be seen at the end of the tunnel. I found that when I stopped setting timelines I enjoyed the process. It was rewarding and fun to fulfill this goal. It was educational and a great experience and as I look back, I realize how much I gained through the process. Not only did I get an airplane, I had the experience of a lifetime. The dream plane became an obsession as it came together and like any project, I rationalized every desire and made the Cessna 180 exactly how I wanted it. Every nut and bolt had been removed as well as many of the rivets. Every wire was new. Every system was updated and either new or renewed. The Cessna 180 was as new as any 50 year old airplane could possibly be. The inside was as clean and pure as the outside. Every inch inside and out was clean and shiny new. I took time for every detail and when I rolled it out the hangar door on December 24, 2003 for it’s first flight, I was proud. I was also scared, knowing if things didn’t go right for whatever reason all that work and money I had invested could evaporate. It was a cold and overcast day but the air was calm and still. When I pushed the throttle in we were off the ground by the time it was reaching its full open position. I had invited my son Corey to come with me while the rest of my family and a couple friends watched from the ground. 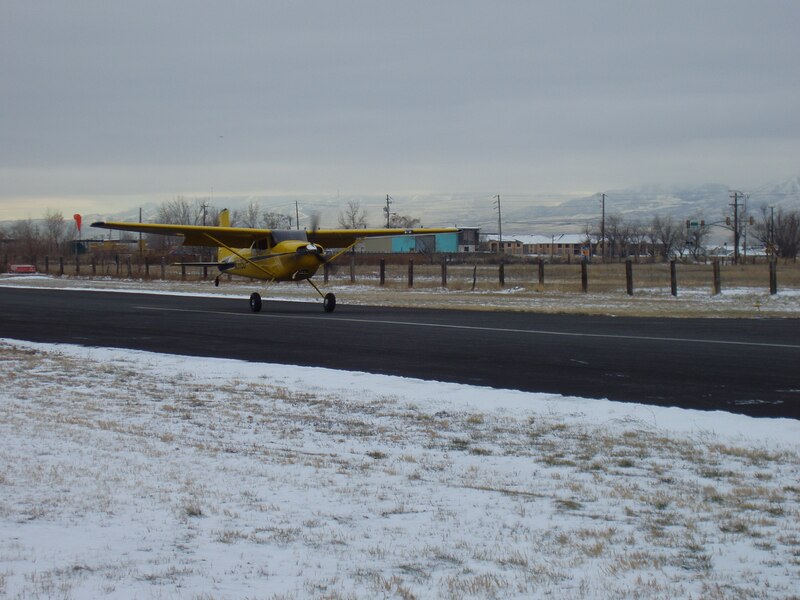 That first flight of my newly restored Cessna 180 Skywagon only lasted 15 minutes or so but it went perfectly well and when the airplane touched down on the runway it was one of the best wheel landings I had ever made. It was a proud moment in my life. I thought I would keep the airplane forever and over the next months flew it all I could. It was everything I hoped it would be and it performed like a rocket ship. It behaved nicely and I really enjoyed flying it. I flew it to Mexico, Oshkosh and several Utah back country airstrips in the next few months. 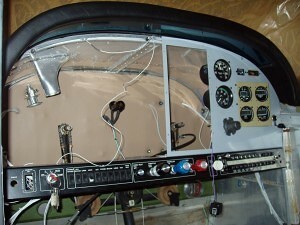 Continued in Tailwheel Part 2, and concluded in Tailwheel Part 3.